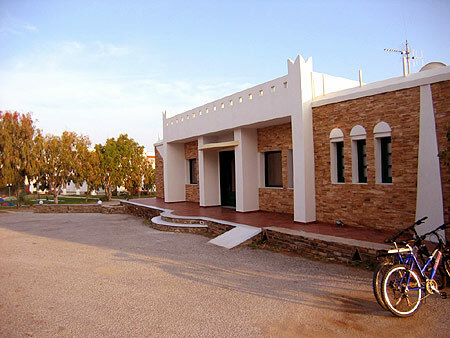 Hotel Kavouras is a village complex, a true heaven. 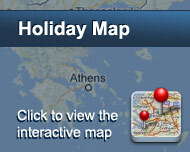 Hotel Kavouras is situated on the enchanting and world famous Stelida. Built 250m above sea level, offers to its guests the most fascinating view of the ocean and the little islands of the Aegean Sea, as well as of the dazzling sunset. It offers accommodation in spacious and stylishly decorated bungalows and suites, all of them with sea view. The varied range of amenities includes a large swimming pool, a kids pool, mini golf and tennis court. Hotel Kavouras Village is perfectly situated in a magnificent position in a lovely quiet area, just above the famous Agios Prokopios sandy beach. It offers superb views of the azure sea and the neighbour Greek Islands. The superb cuisine and the extensive range of wine labels, coupled with the impeccable service makes the Hotel's charming restaurant one of the best in Naxos Island. The excellent standard of service and accommodation have earned the hotel a very high reputation amongst our discerning gusests. The large swimming pool and its position will beckon you to relax, have a drink and enjoy the smooth colours of the sunset. Excellent cuisine can be savoured at the hotels' restaurant where regular 'theme' dinners also take place. Είστε ιδιοκτήτης ή διευθυντής στο KAVOURAS VILLAGE; Εγγραφείτε τώρα για δωρεάν εργαλεία, που μπορείτε να χρησιμοποιήσετε για να βελτιώσετε την καταχώρησή σας και να συνδέσετε την ιστοσελίδα σας και το σύστημα κρατήσεών σας.